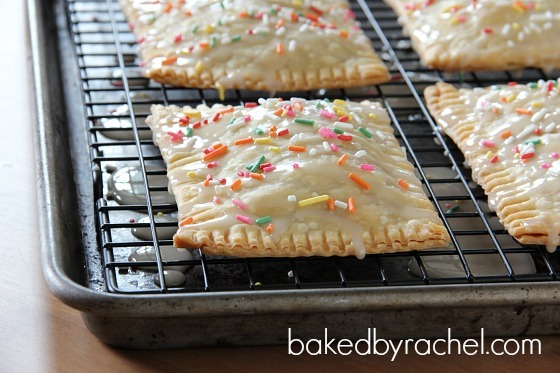 To this day, I still love strawberry Pop-Tarts. I can’t help it. I know they kind of resemble cardboard at times but I still love them. Which doesn’t at all mean that I like to eat cardboard, because I don’t like Dominos pizza. I hear they’ve changed their pizza, I have my doubts on it’s ‘new’ and redesigned taste. 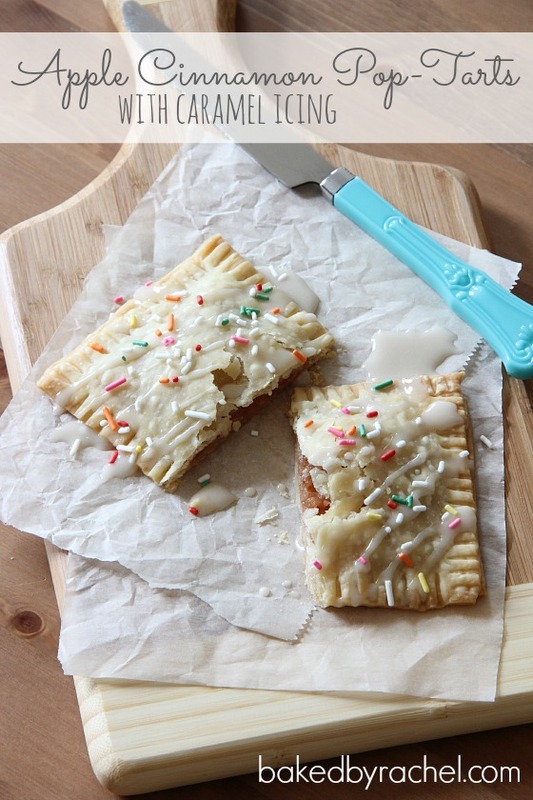 Anyway… the Pop-Tarts. They’re sweet and delicious while being totally awful. You know what I mean. It’s like a lot of kid cereals and other random treats. I swear I don’t buy Pop-Tarts often. It’s super rare actually because the times I do buy them, I get home and am given this evil ‘oh my God you really bought those’ kind of stare. Really. And that’s from the cats! I’m not exaggerating in the slightest. Okay maybe I’m fibbing a smidge. But you see… I’ve only had strawberry. Being apple month though, I figured it’d be a perfect opportunity to make some amazing homemade non-cardboard apple cinnamon pop-tarts. But…I cheated. You don’t have to. My life has been flipped upside down as of recent for many reason, so I took the quick way out and used pre-made, roll out pie dough. And you know what, it still tastes awesome. Less work and more eating is always a good thing. 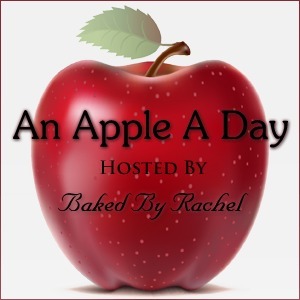 Flaky pie crust filled with a sweet cinnamon apple mixture and drizzled with caramel icing. You can skip the sprinkles, but I wouldn’t recommend it. Peel and chop apples. Add to a medium saucepan with cinnamon, brown sugar, water and optional boiled cider. Cook over medium heat until bubbling. When apples are soft, carefully mash with a potato masher until only small pea size chunks remain. Transfer apple mixture to a clean bowl, set aside. Roll out dough. Cut an even number of rectangles into equal sizes, to create bottoms and tops. 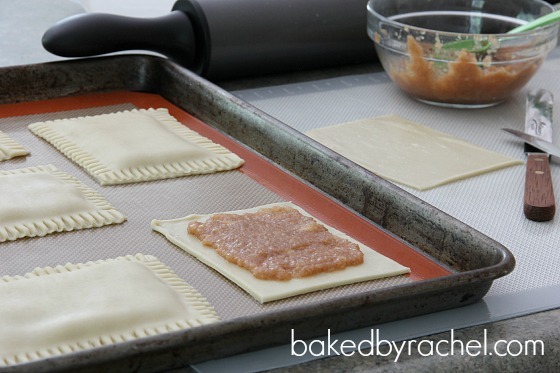 Transfer half of the rectangles to your prepared baking sheet. 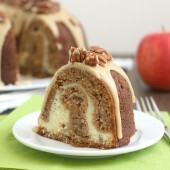 Add 2 tbsp apple filling to eat rectangle, spread to within 1/4-1/2" from edge of dough. Top off with another piece of dough, pressing down firmly to form the edge. Crimp edges with a fork. Bake for 20-30 minutes or until lightly golden. Cool on a wire rack. 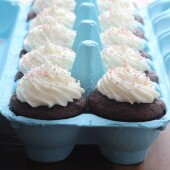 To prepare the icing; in a small bowl whisk together powdered sugar, milk and caramel extract. 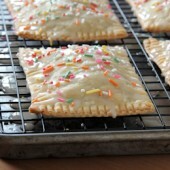 Drizzle over cooled pop-tarts. Immediately add sprinkles. Disclaimer: I asked OXO to be a sponsor of An Apple A Day. I received free product to use in my own kitchen. All opinions are my own. 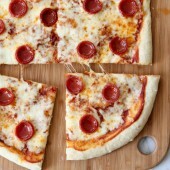 Like Tracey’s Culinary Adventures on Facebook.